Several members of our family need to take medications daily and some of us take certain supplements on a regular basis. Laying out pills on the counter was always tricky as they would get scattered and often, not taken. This may not be a new idea to many of you, but it was new to us, so I'll share it in the chance that you are looking for a way to keep this process efficient and effective! 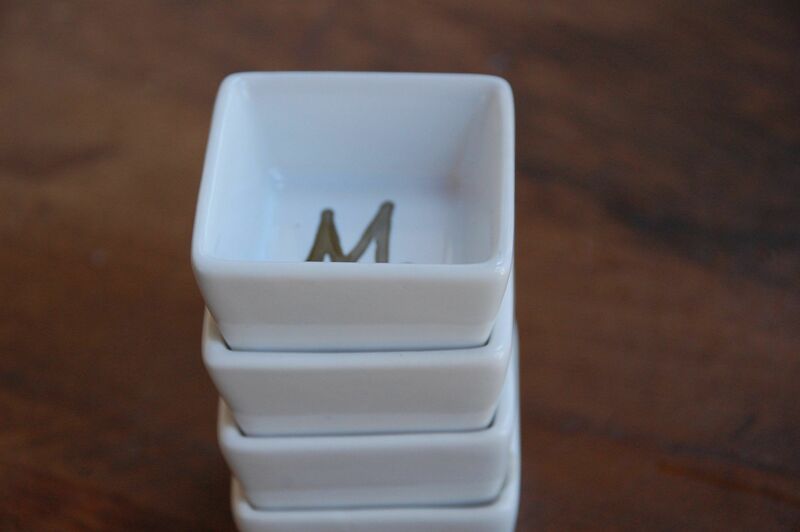 I picked up these little square ‘bowls' at World Market. They are 2 inches by 2 inches and remind me of the little bowls that they use at Hibachi restaurants to put your dipping sauces in. 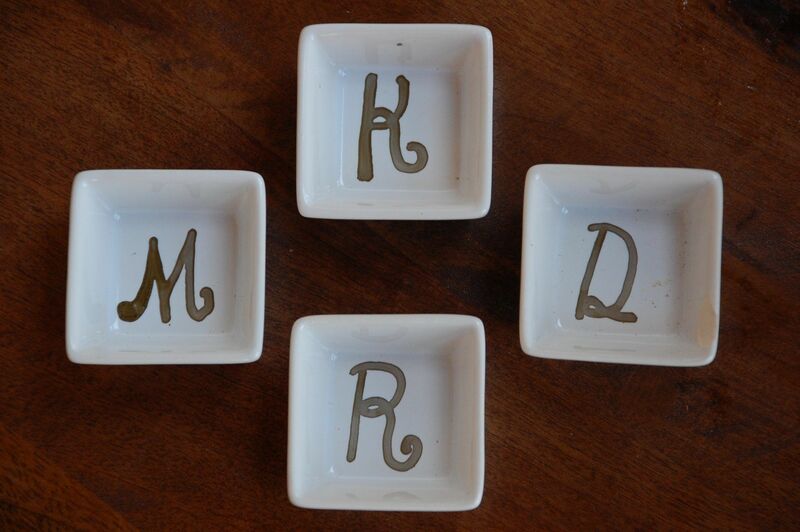 I used a Gold Sharpie Oil-Based Opaque Paint Marker and wrote our initials in each bowl. Putting our vitamins/medications in the bowls is now part of my morning routine. Once they have been emptied each morning, they stack up very easily for storage in my kitchen drawer.